I was very happy with the flavor and texture of the cupcakes muffins I made last Friday, so I decided to try cookies with the coconut flour. These turned out very well also. I considered calling them ‘little cakes’, because of their soft, fluffy texture, but I stuck with the ‘cookies’ label. 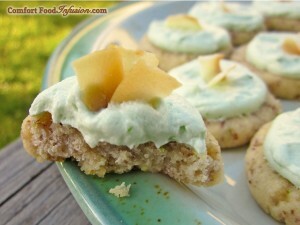 These were made vegan by using flax meal combined with water, in place of eggs. That is why you see the little brown bits of flax. If you use eggs instead, they will be a solid off-white colored cookie. Cool, sweet, soft, delicious…. comforting. 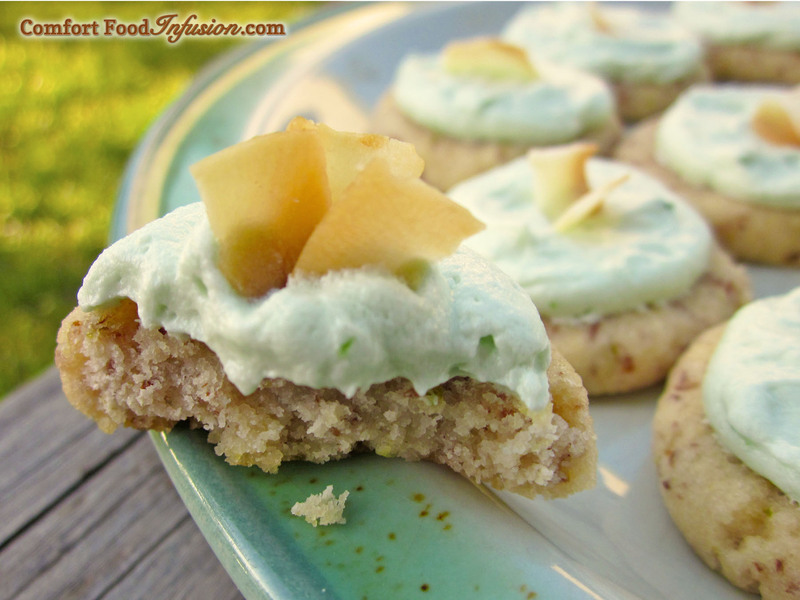 Moist and fluffy cookies made with coconut flour and fresh lime. Topped with lime frosting. Gluten free and vegan! 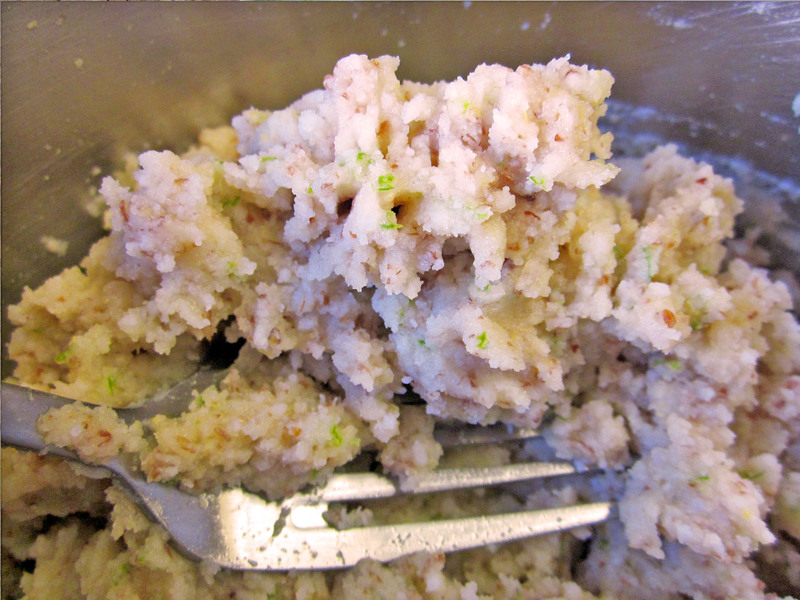 Using electric mixer, beat the shortening, margarine, coconut milk and lime zest until well combined. Add the powdered sugar and beat for about 2 more minutes, or until nice and fluffy. Set aside in a cool place. In a small bowl, combine flax seed meal and water. Mix, and set aside to thicken. 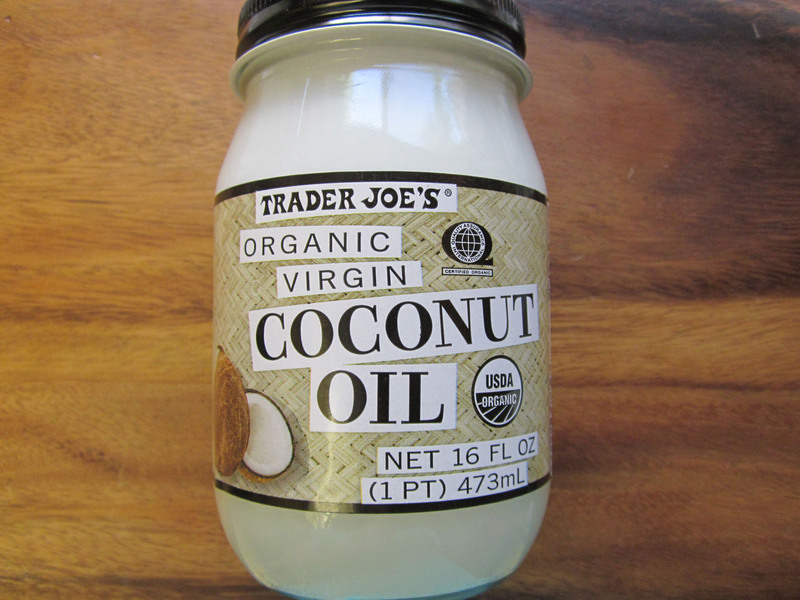 Microwave 1/4 cup coconut oil in a small bowl for about 12 seconds. Should be a liquid, and just a little warm. 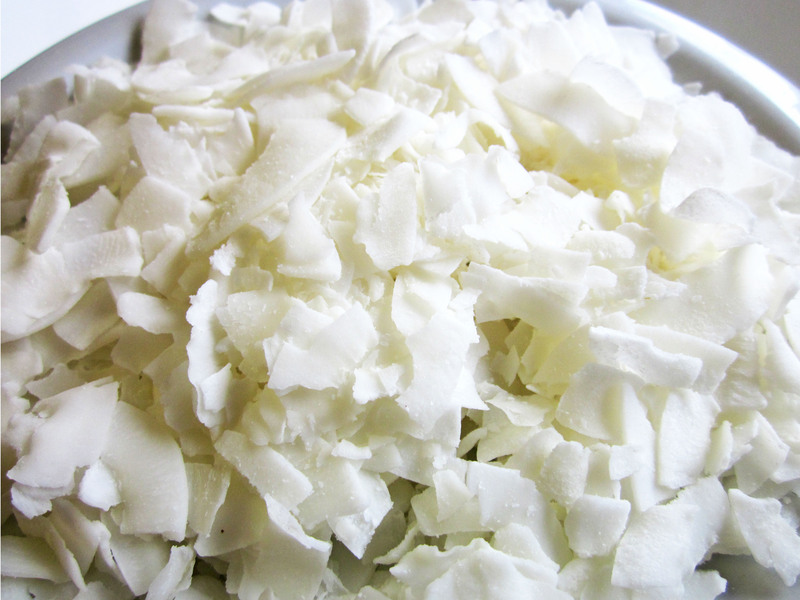 In a large bowl combine, flax meal/water (or eggs), melted coconut oil, sugar, coconut milk, vanilla, and juice and zest of lime. Mix well to blend. In a separate medium bowl, sift coconut flour. Add salt and xanthan gum. Mix to blend. Pour flour mixture into large bowl with wet mixture. Stir well. As you stir the mixture will thicken. 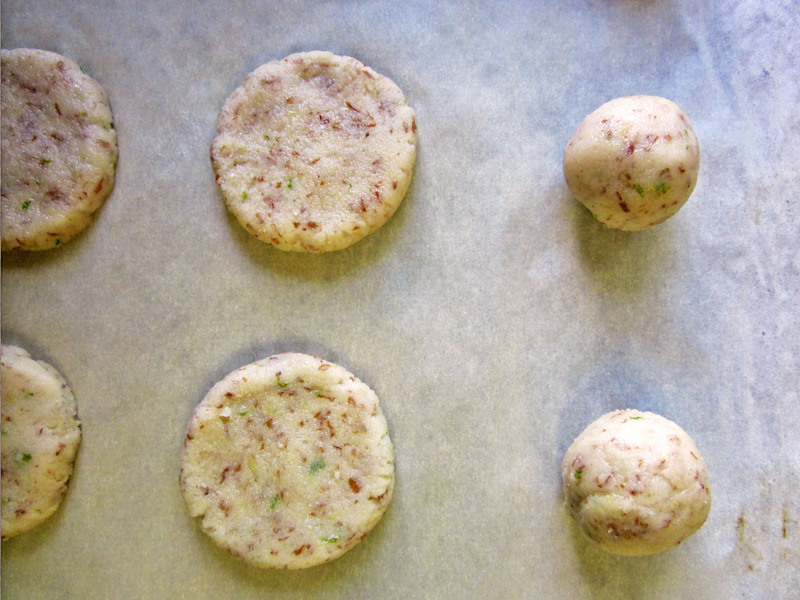 Using your hands, form dough into 1 1/2 balls, and place on a parchment lined cookie sheet about 2 inches apart. Flatten each ball into a two inch circle (about 1/2 inch thick). Bake in a 350° F oven for about 14-18 minutes or until they just begin to lightly brown on the bottom. Remove from oven, allow to cool to room temperature on cookie sheet. While cookies are cooling, toast coconut. They only need about a minute. Keep your eye on them, they burn FAST! Frost each cookie using a piping bag (or baggie with a small hole cut in the corner). 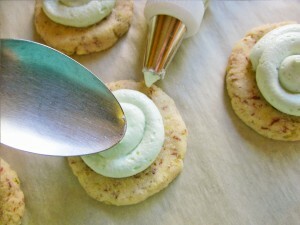 You can leave the frosting with a 'piped' look, or spread the frosting with the back of a spoon. 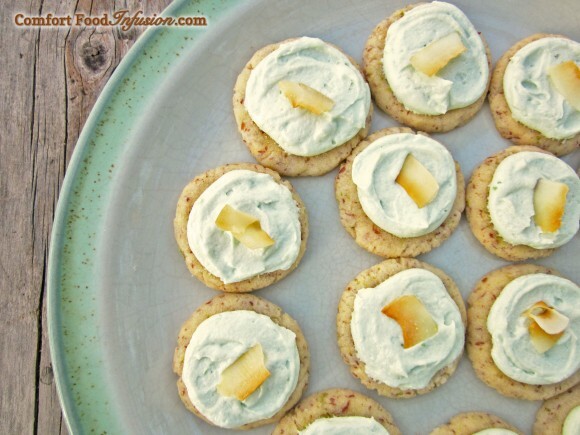 Garnish each cookie with toasted coconut. Serve at room temperature. Store in the refrigerator. 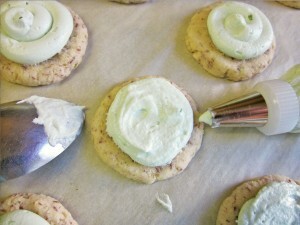 If not baking vegan, frosting can be made with butter, in place of margarine, and regular milk. Cookies can be made with eggs (in the place of flax meal) and regular milk as well. I made these into big 3 1/2 inch diameter cookies and served each with a pile of glaze covered strawberries & whipped cream – delicious! Truvia baking blend to replace the sugar. 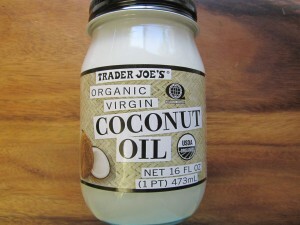 As the truvia replacement is only 2 Tbl + 2 tsp, I cut back the liquid to 1/4 cup [almond] milk. The cookies took longer than expected to cook, and are still very soft and light. Very good! I will keep this one in my file for future use! I really like that you used flax eggs, as I don’t keep a lot of eggs on hand, and would like to keep the calorie count kind of low.